Introducing the foundation piece for dozens of stylish looks. 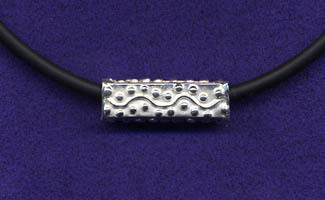 Crescent-shaped sterling silver slide moves freely on a 4mm rubber cord. 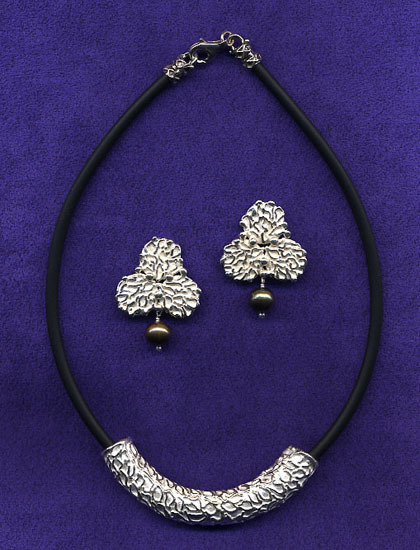 Contrasting lines and beads lend a celestial sensibility. Choose frosted or antique finish. Three cord colors available: black, blue or green. 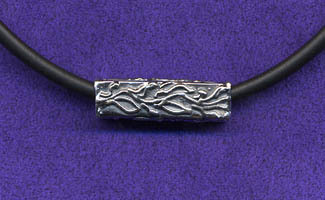 16" average length with lobster claw clasp. Custom lengths available. 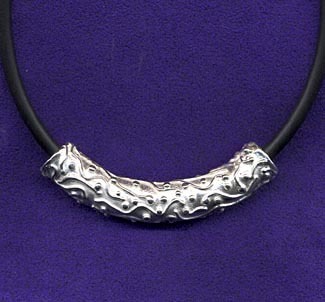 Make a bold statement with one of these four-sided choker. 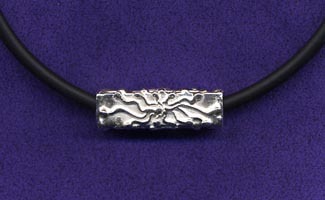 Substantial sterling silver slide moves freely on a 4mm rubber cord. 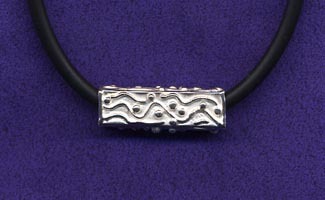 Contrasting lines and beads add texture and visual interest. Choose frosted or antique finish. 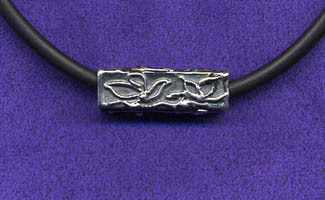 Three cord colors available: black, blue or green. 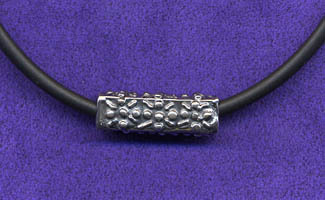 16" average length with lobster claw clasp. Custom lengths available. Each slide measures 1 1/8" x 5/16"